*I need your help! I am working on a new large scale project and I need a new easel to accommodate 96" canvases. 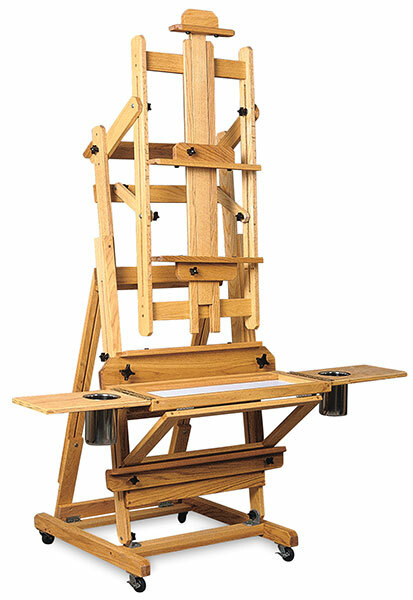 This easel weighs 100lbs and is made of oak and will certainly do the job for decades to come! It is $1300.00 shipped in to me. I am sure as you know, this is signifcant investment for anyone, especially your local "starving artist". I believe in strength in numbers and rallying around the community, so hopefully with your kind graces we can get this baby landed, and I can produce this epic epic series for you! What's in it for you? I will send you awesome stuff for any and all donations! Could be drawings, art, paintings, random fund stuff from my personal studio etc! The larger the donation the cooler the stuff! I am so thankful for all of you and appreciate your love and support! You have no idea how much it means to me!